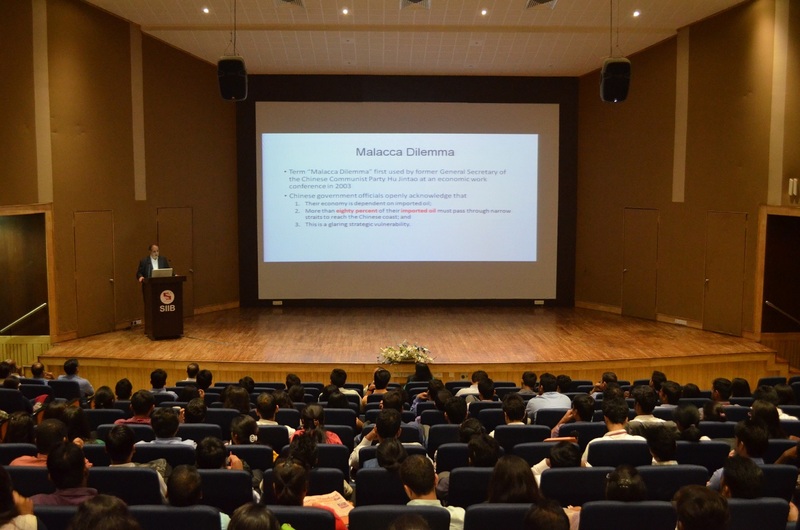 The third pre-event for Leadership Series 2017, the Malacca Dilemma, was held on 22nd September, 2017 at SIIB. The guest of honour, Mr. Arun Firodia, Chairman of Kinetic Group, addressed the gathering on the above stated topic. 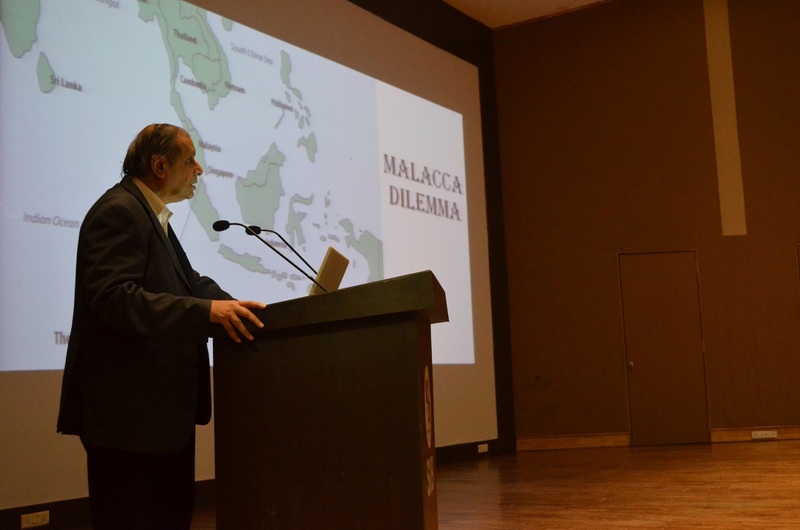 Mr. Firodia gave the participants an introduction of Malacca Dilemma, how it affects China and what are the potential fallouts in the way China is trying to solve its biggest weakness. Mr. Firodia highlighted the multi-dimensional approach of the Chinese and how it affects all countries as its target. In tandem with the theme of this year’ Leadership Series, which is BLUE ECONOMY, the stated topic was apt, since it informed the students of the increasing relevance of marine bodies in today’s geo- political scenario. The participants posed some pointed questions which Mr. Firodia answered, befitting his experience and knowledge, in a manner that all doubts were dispelled. He concluded his address by exhorting us to stay united under all circumstances. Dr. Suchita Jha, the Faculty-in- Charge of Leadership Series, concluded the event with a Vote of Thanks. Overall, it was an interactive session, where the speaker shared multitude of his experience & knowledge with the students. Being international business students, the event was thoroughly enjoyed by the audience and helped them gain useful insights on the topic.